Lunch: We ate at midnight last night so no one was hungry until noon. I made one of those “everything but the kitchen sink” kind of soups. For the base, I used what remained of the Coconut Curry Soup our producer Barb had given us. She also gave us some Acorn Squash and small Purple Potatoes and those went in the soup, plus some Maitake Mushrooms. It was good. 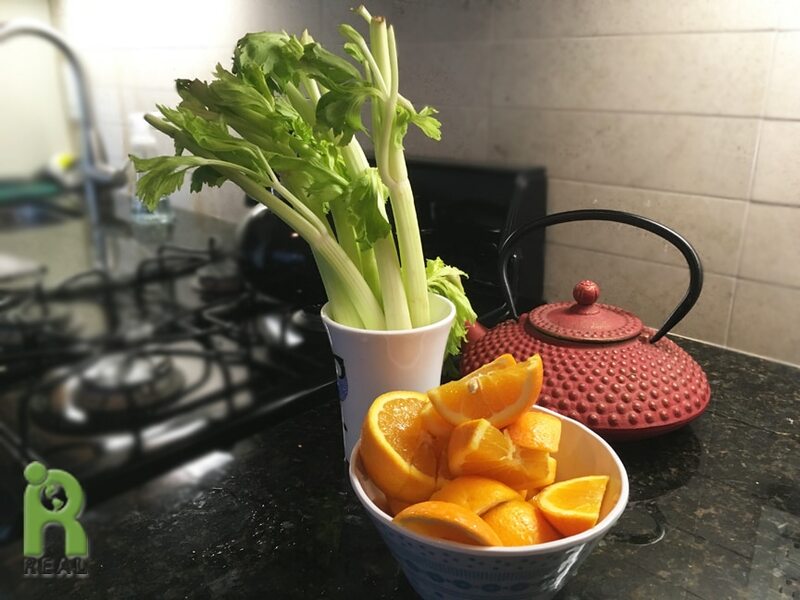 A couple of hours later I made a snack of Celery Sticks and Oranges. Dinner: We didn’t have rehearsal today and it was nice to take our time and get some other stuff done. 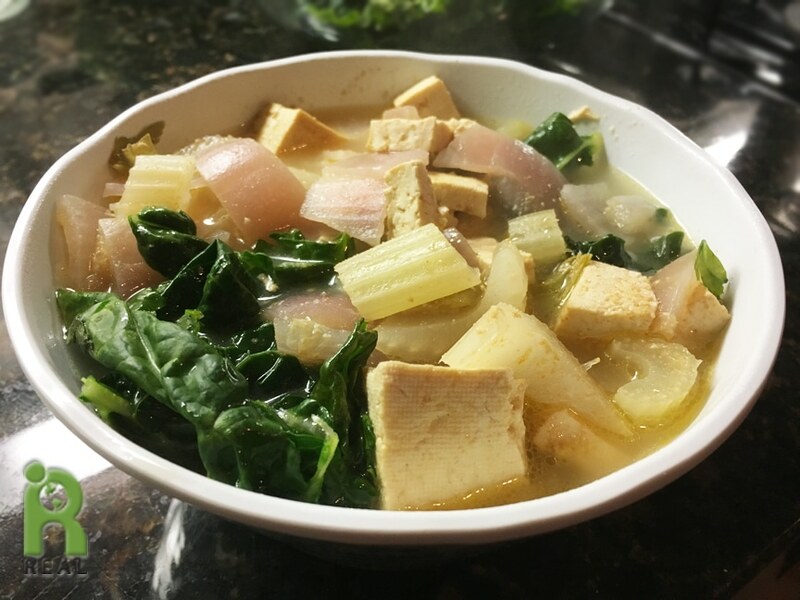 For dinner, I made another soup with a packaged, low sodium Vegetable Broth, Tofu, Kale, Red Onions and Celery. 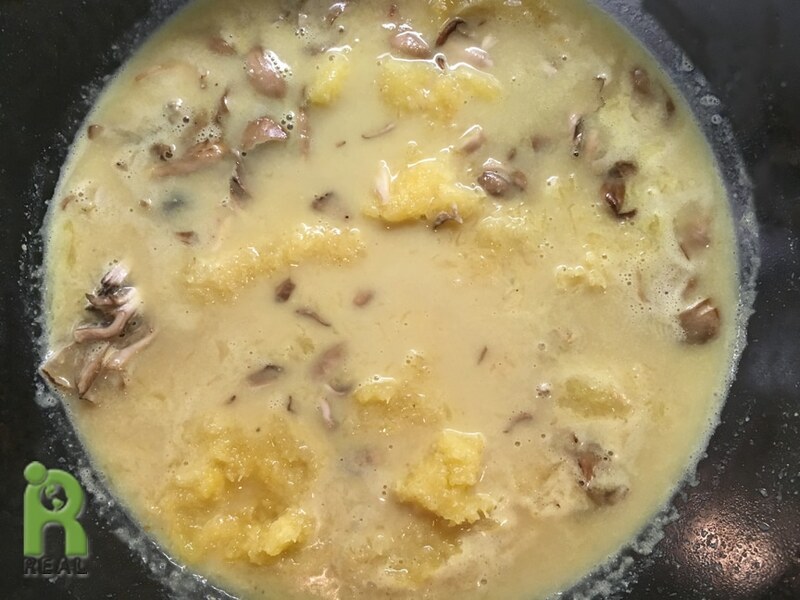 I stirred in some Sesame Butter to make it creamy and rich. While I ate the soup, Gary prepared some Rolled Oats cereal with Apples, Raisins and Walnuts for himself. He wasn’t in the mood for soup. 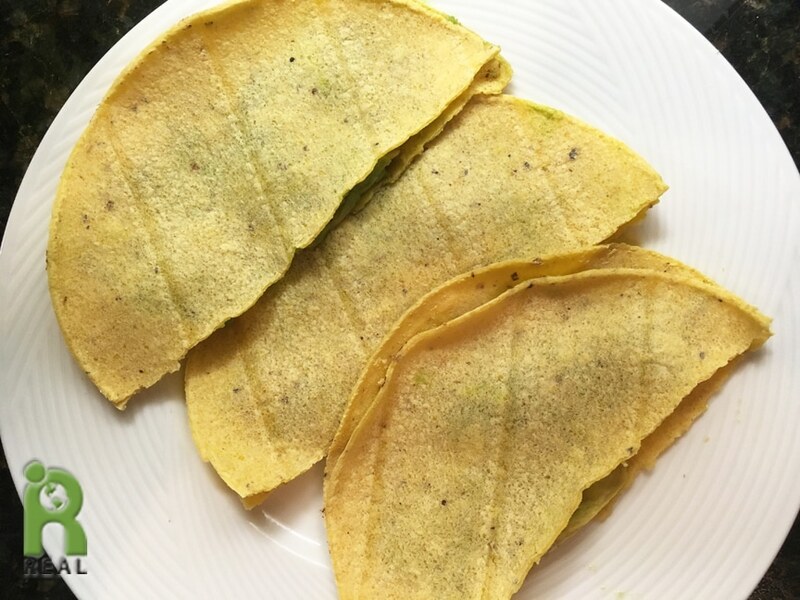 Corn Tortillas filled with smashed Avocado was the second course. It’s simple but I can eat these any time.